"Carving your initials into a tree" has long been one of the grand gestures of the sappy romantic. There's something sweet about declaring that you love someone for all the world to see on something that has the potential to last much longer than you will. 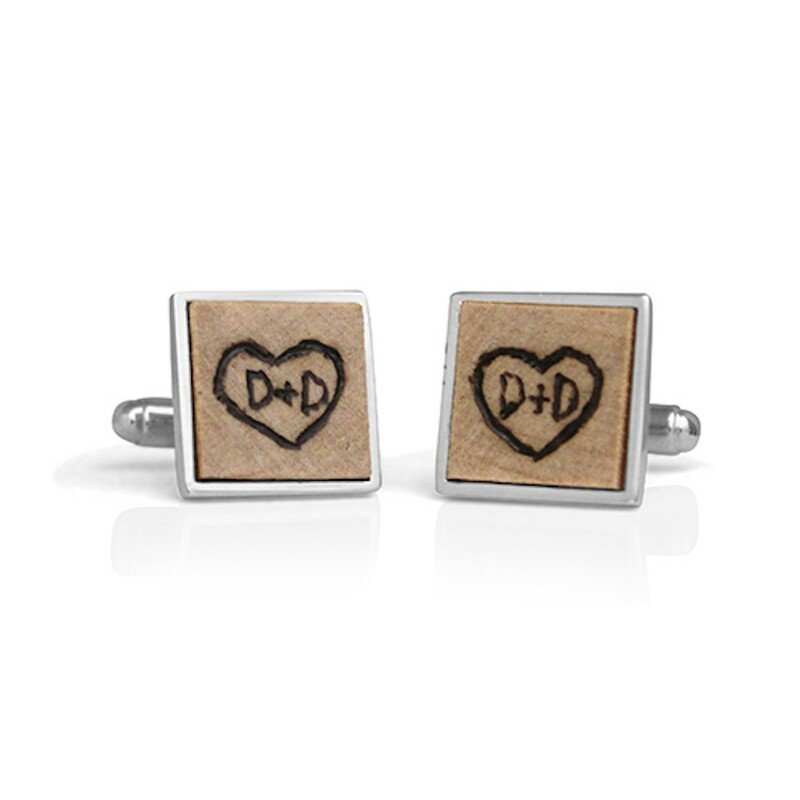 Our Handmade Sterling Silver Burnt Wood Cufflinks are a way to hold on to the romantic whimsy of misguided youth without wreaking harm on a living tree. 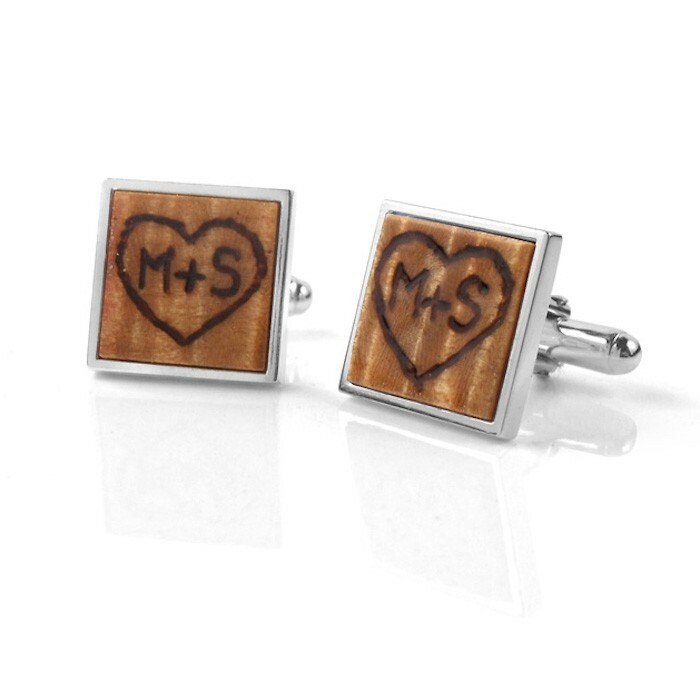 We burn your initials into a piece of wood by hand, then lacquer the wood and epoxy it into a solid sterling silver cufflink that we make by hand in our studio. Ali, our production goldsmith, picked these cufflinks as one of her "Studio1098 Staff Picks" for Valentine's Day. Ali says: "Bright and shiny pieces are fabulous, but sometimes you just need sentimental and mushy. 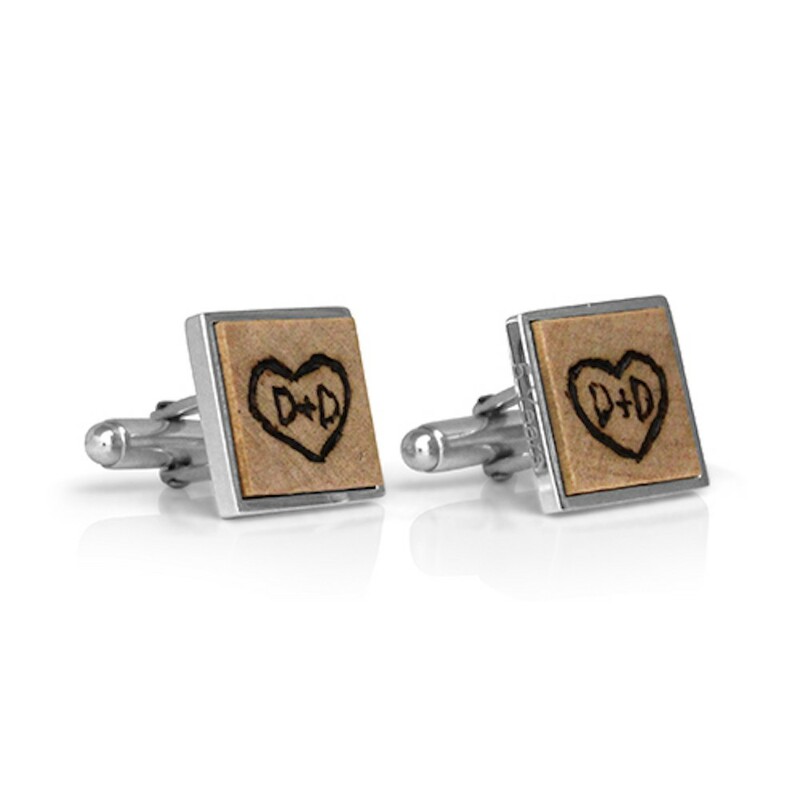 Carving your initials into a tree could get you into trouble, but these cufflinks won’t! They’re a great way to express your love or just be thoughtful"
Don't forget that your 5th anniversary is known as the Wood Anniversary! 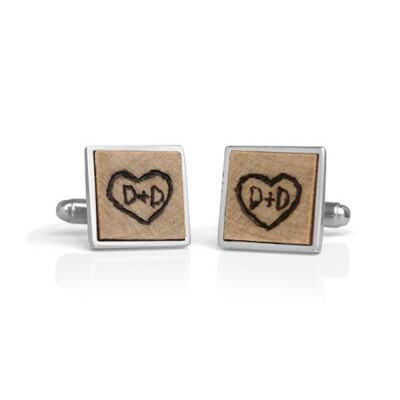 These cufflinks make a great anniversary or Father's Day Gift.